Today, I’m going to talk about how our childhood experiences shape and influence our disconnectedness with our emotions in adulthood. We’ve all been there – parent or not. 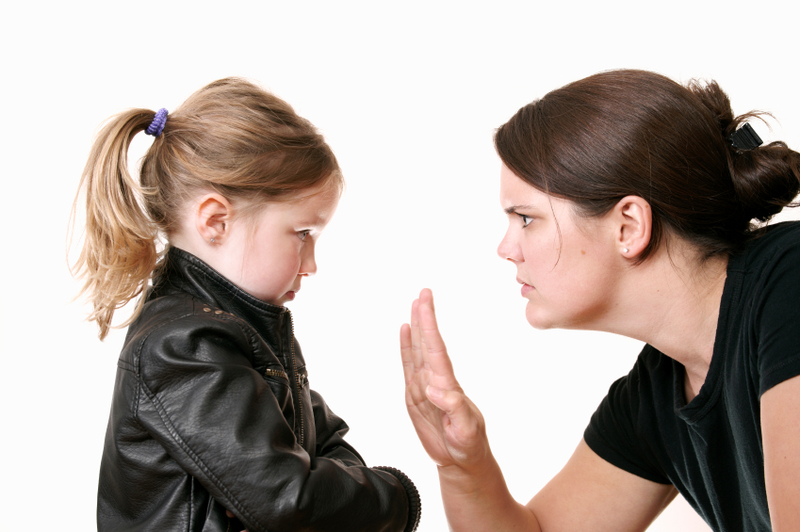 I babysat quite a bit in my day and have had to handle a few gnarly temper tantrums. Honestly, I had no idea what the heck to do. In one instance, the young’n was screaming in the middle of the street. I was concerned someone might think I’d hurt her, was a bad babysitter or thought I may be trying to take her (dark thought, but it definitely crossed my mind). It’s stressful, but apparently shushing or telling the child to “be quiet” (which is exactly what I did), isn’t the answer. Through our experience and conditioning as a child, we can become disconnected from our true emotions. They become repressed; hidden from us. Yet, the physiological stress response continues. Unabated. Unchecked. Unnoticed by the conscious mind. Awareness of these undercurrents may never happen, but for some it may. Many featured in Maté’s book, became increasingly more aware as they talked openly with him about their past. Emotional repression as a child leads to differences in brain anatomy, reduces the child’s ability to deal with their emotions in an appropriate and satisfactory way, and often leads to long-term maladaptive coping patterns. And it doesn’t have to be a parent yelling and screaming at us to cause such life-altering changes. No, in fact outward discord may never occur. There’s no doubt parenting is difficult, but this adds a whole new level of complexity. I imagine most parents say “calm down” or “relax” or say “shhh, it’s okay, I’m here, it’s okay” because they want to soothe their upset child. Most don’t do it maliciously. But it seems that preventing your child from expressing their emotion, which is apparently what this message can convey, can have some serious repercussions. Maté explains that it is important to help your distressed child process and understand his/her emotions. Help them to understand and clearly express why they’re reacting the way they are. Talk to them. Be a curious cat. This takes a considerable about of energy that I imagine is likely always in low store, but it seems worth it. It doesn’t mean let them scream, it means help them to understand why they’re screaming (I imagine this is WAY harder than the energy it took me to think it and type it). Helping your child when they are still a child will help them to be better adjusted and emotionally capable as an adult. It means they can be more helpful for their children. Most parents want their child to become an independent thinker and individual who is at less risk from chronic disease in adulthood, but in order to accomplish such a feat, the child needs some coaching, support, and problem solving skills. This book wasn’t necessarily a relaxing read. In fact, it kept me up some nights thinking about my childhood, thinking about people I know who always say ‘yes’, thinking about people who are already sick and wondering what their childhood was like. It isn’t be a perfect science as there are many risk factors to developing a chronic condition. Maté talks about this, stating that a stressful childhood is one risk factor and that the presence of many are often required to elicit the development of disease. He talks about blame and how many of his patients asked why he was writing a book that seemed to ascribe blame to people already dealing with so much. He clarifies his reasons at the beginning and the end of the book. This isn’t about blame, but more about bringing awareness to patterns. Patterns that run through families, for generations. Of course, I thought about my family. I thought about the patterns that are still present and the patterns I hope to break with my children. I thought about patterns that I won’t even be aware of and thus, will pass along to my children. I thought a lot. I took a two week break from the book (after the MS section) and returned with a clear mind, ready to learn. I felt sad for Maté’s patients, for their families, for their deep loss during childhood. I felt sad for a number of reasons, for reasons I still need time to process. But, I also felt glad. I felt glad that I was reading this book now as opposed to after the birth of my first child. I felt glad that I know firmly understand the critical importance of the first few years of development (they’re all important, but the brain wiring that goes on at this age is remarkable). I felt glad that I am now slightly better prepared to becoming a mother. I know I will never be 100% ready and I know that I will fail at times. And to all the mothers and fathers reading this post and feeling guilty, please don’t. All I can recommend is go and buy the book. It’s worth it’s weight in gold. I’m not joking. Stay tuned for my next and final post on Friday. I will share the steps / solutions that Maté suggests to help us become more aware and more attuned with our bodies to hopefully reduce the likelihood of becoming ill.